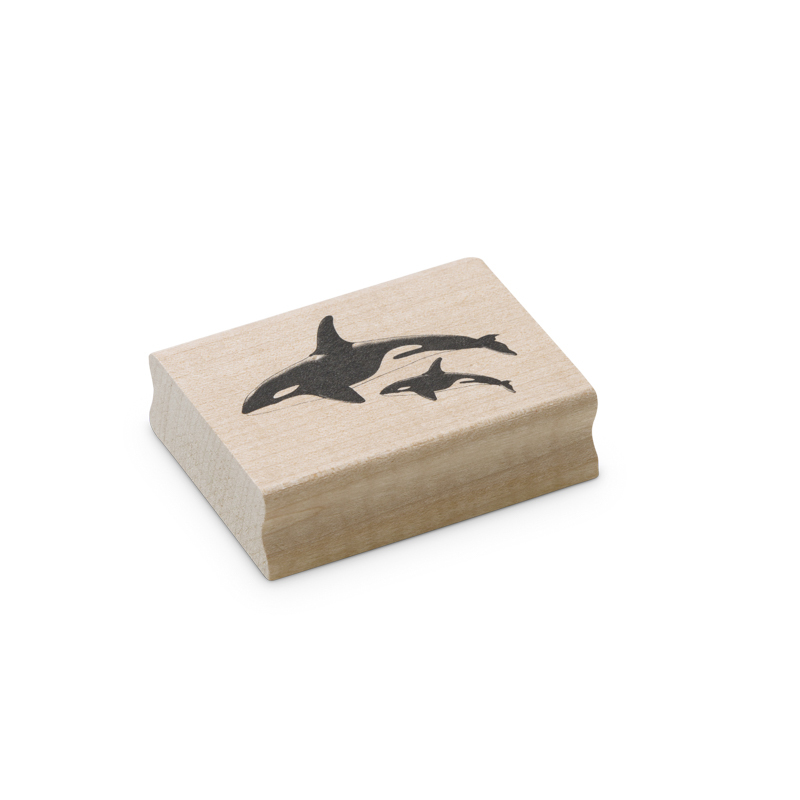 The killer whales wood block rubber stamp is popular in stamping work with encaustic art. 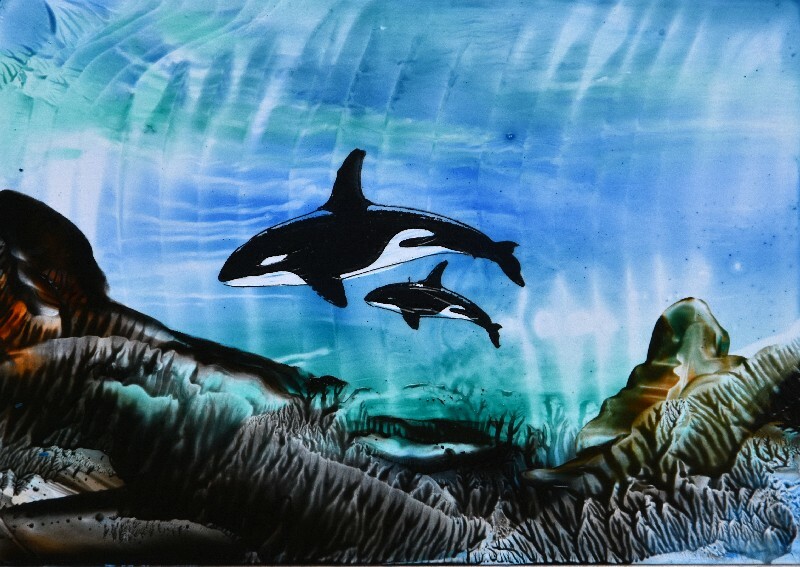 This design fits into underwater scenes easily. Try adding dark rock borders to give impact.